A British study has examined the factors that affect the likelihood of recovery from grass-related laminitis, and concluded that obese horses are more likely to die. In the study, members of the British Equine Veterinary Association (BEVA) documented cases over four years and found that when overweight horses develop grass-related laminitis, they tend to have more severe signs than those of optimal weight. 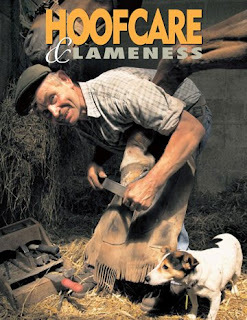 Reporting on the study conclusions, principal investigator and veterinary surgeon Celia Marr said “When (grass-related) laminitis does occur, overweight animals are more likely to die of the disease than their thinner counterparts. The animals with the best outcome tended to be those that had received acepromazine, a drug that improves the blood supply to the feet and relaxes the animal." 1. 107 cases of acute pasture-associated laminitis were recruited from first-opinion veterinary practices to study factors associated with clinical severity, survival and return to ridden exercise. 2. Of the horses in the study, 83 percent were overweight and there was a trend towards severe laminitis cases having a higher Body Mass Index (BMI). 3. Eight weeks after disease onset, 95% were alive. 4. Lower body weight, optimal body condition, mild rather than severe laminitis and acute/chronic founder were significantly associated with survival. 5. The clinical outcome was judged by a panel of three veterinarians as good in 72% of cases. 6. 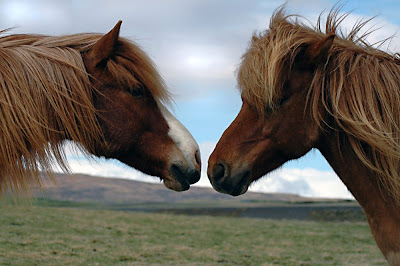 The clinical outcome was significantly associated with horse type; outcome was bad in none of the small horses compared with 34.1 percent of large ponies/cobs, 32.4 percent of small ponies and 30.0 percent of large horses. The study was sponsored by the British Veterinary Association Animal Welfare Foundation (BVA AWF) and Merial Animal Health. Hoof Blog note: Please remember that this study relates only to horses with pasture-type laminitis. There are several types of laminitis and perhaps one thing this study does is accentuate the differences in expectations that horse owners may have in their horses' recovery chances.